Info: 3 Bedroom, 3 Bathroom Home with approx. 1,800 square feet. 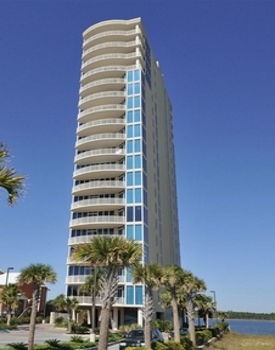 Lagoon Tower condo for sale in Gulf Shores. Beautiful three bedroom, three bath lagoon front condo! Kitchen features include stainless steel appliances, granite counter-tops & tiled backsplash. Tiled throughout with carpeted bedrooms and floor to ceiling windows in living room and master bedroom. Lagoon Tower offers an indoor pool, outdoor pool, pier on Little Lagoon with fish cleaning station and deeded beach access. This property will convey partially furnished. Come see this condo before it’s too late.